A training course and workshop on Participatory Adaptive Research on stress-tolerant rice varieties in coastal areas of Central Vietnam was held at the Faculty of Agronomy, Hue University of Agriculture and Forestry (HUAF) in Hue City, Central Vietnam on 13-16 August. 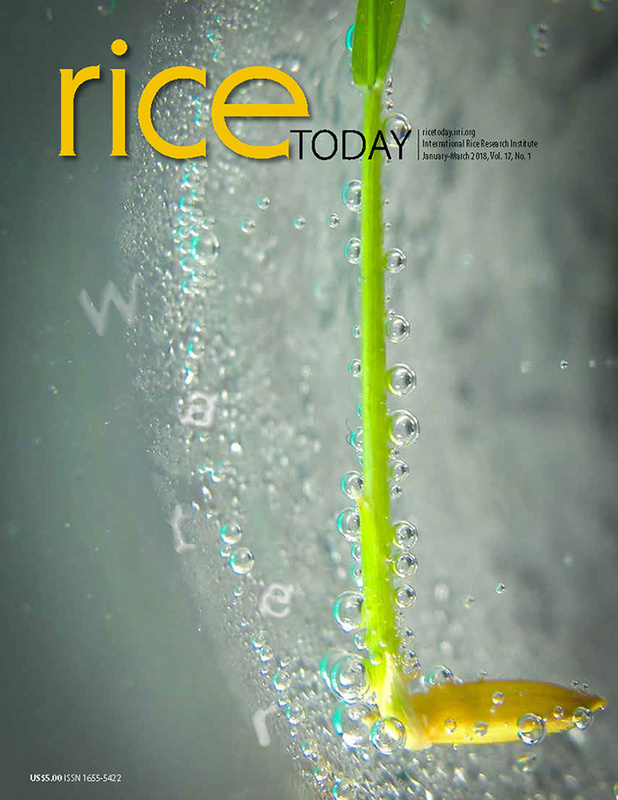 This collaborative activity aims to develop updated technical methodology on adaptive research and dissemination strategies on stress- tolerant rice and associated production management for saline- and submergence-prone areas. Resource speakers included Romeo Labios (consultant, CLUES project), Tran Dang Hoa (team leader, LUCCi project), Truong Thi Ngoc Chi (rural sociologist, Cuu Long Rice Research Institute), Trinh Thi Sen and Tran Thi Nga (lecturers, HUAF). Among the topics discussed were (1 )Progress in breeding for and physiology of salinity and flooding tolerance in rice, (2) Best management practices in saline- and submergence-prone environments, (3) Rice variety and crop management components in stress-prone environments (i.e variety and seed selection, land preparation and crop establishment, nutrient management, and integrated pest management), (4) PVS methodology and information requirements, (5) Wide scale dissemination/technology tracking/scaling up and assessment of impact, and (6) PVS field practicum. Twenty-one participants from Department of Agriculture and Rural Development (DARD)-Quang Nam and Thua Thien Hue provinces and HUAF attended the activity, which included a field practicum on PVS preference analysis at Nam Chau village, Phu Da town, Phu Vang district in Thua Thien Hue province, and a visit to experimental farms of HUAF. The participants prepared action plans for saline- and submergence-prone rice production systems that they can implement in the following cropping season and for the next 3 years (2013-2015). They will submit the action plans to the provincial DARD for funding. In most coastal and riverside regions in Quang Nam and Thua Thien Hue provinces, high tide levels, especially in summer, lead to strong seasonal salinization. The rice growing areas in these regions are not completely protected against salt water intrusion even during rainy season. Rice in Summer-Autumn crops wither due to salt intrusion especially in some parts of the provinces that are near the East Sea and lack fresh water irrigation. HUAF and the Land Use and Climate Change Interactions in the Vu Gia Thu Bon River Basin, Central Vietnam (LUCCi) project work together to help improve rice production in Central Vietnam, particularly in Quang Nam province. Reiner Wassmann served as project leader of the IRRI-LUCCi project, which is funded by German Federal Ministry of Education and Research – BMBF (www.lucci-vietnam.info/).